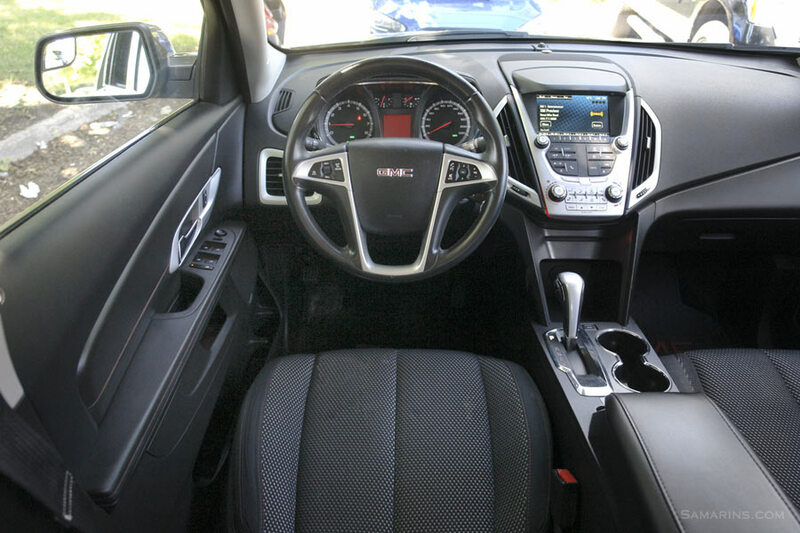 The Equinox and its mechanical twin GMC Terrain are the 5-seater crossover SUVs, available with front-wheel drive or all-wheel drive. Both offer a comfortable interior with ample rear seat space and good highway fuel economy. 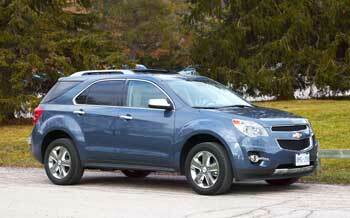 The 4-cylinder front-wheel drive Equinox or Terrain offer better gas mileage than many other SUVs. Consumer Reports rates certain model years of the Equinox and Terrain better for reliability than other domestic SUVs. Of course, there are some problems to be aware of. Some model years have more problems, read more below. Problems: We noticed many of reported engine problems are related to low oil level. For this reason, if the Check Engine light comes on, or there is some noise from the engine, check the oil level first. It's also a good idea to check the oil level regularly and do the oil changes more often to keep the engine in a good shape. 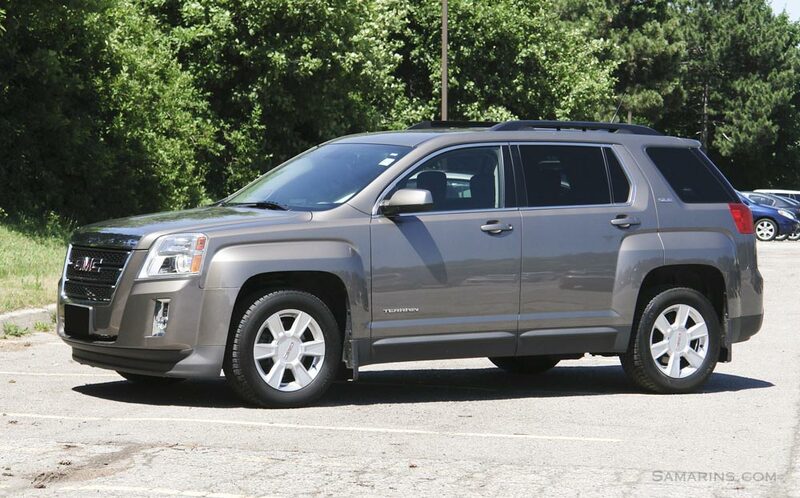 The GM technical bulletin 11195A for the 2011 Chevrolet Equinox / GMC Terrain with a 2.4L engine describes the problem where a camshaft position actuator solenoid may stick causing the Check Engine light to come on, as well as rough idle and possible stalling. The solution is to replace the camshaft position actuator solenoid and reprogram the PCM. This problem is mentioned often in early models. The part is sold for around $48-$58 on Amazon, the replacement is simple. We found several Youtube videos for you on this problem. We found several Equinox owners mentioned timing chain replacement in both, the 4-cylinder and V6 engines. If out of warranty, this repair might be quite expensive. The GM bulletin 14882 dated of March 2015 announces special coverage for the plugged / frozen PCV orifice in the intake manifold that cause an oil leak from the rear main seal. If you bought a used Equinox, it's a good idea to check with a GM dealer if this bulletin was done on your car. There are plenty of complaints about excessive oil consumption in early models. As of July 2018, Consumer Reports rates only 2014-2017 Equinox "better than average" for the engine. The 2010-2013 models are rated poorly. Of course by now, the GM has repaired many vehicles under warranty. 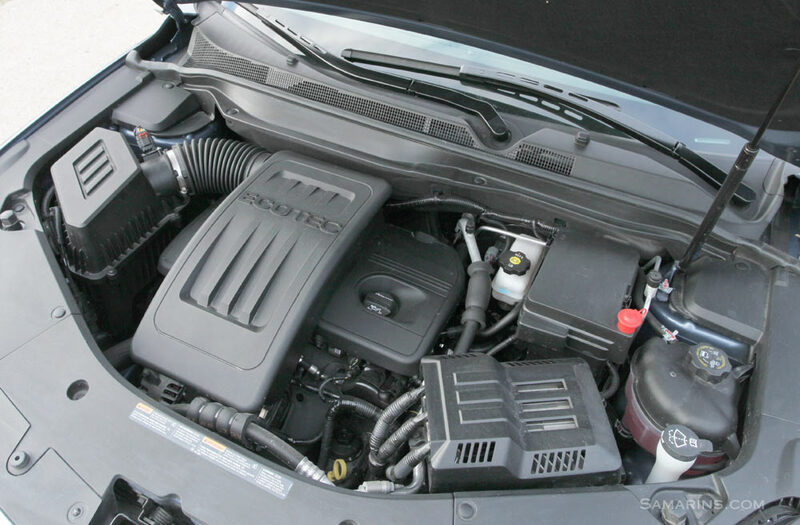 According to the GM Bulletin 13-06-01-003H, if the oil consumption test fails, technicians should perform the engine repairs, that may include replacing piston and ring kit as well as servicing the PCV system and replacing cam and balance shaft chains if they were not replaced previously. Failed A/C compressor may cause the air conditioner not to work. Replacing the A/C compressor may cost from $550 to $750. Engine choices: Both the Terrain and Equinox come with the standard direct-injected 182-hp 2.4L 4-cylinder Ecotec engine (codes LAF, LEA or LUK). 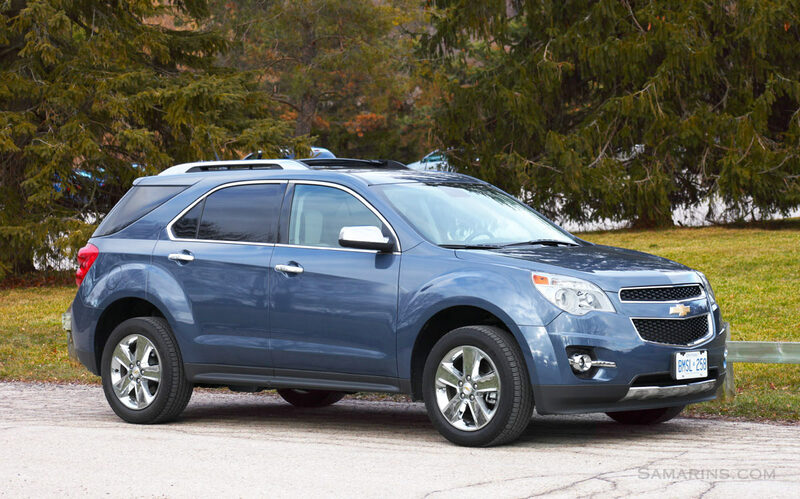 The 2010-2012 Equinox and Terrain came with the 264-hp 3.0L V6 (LF1, LFW), while the 2013-2017 models have the 301-hp 3.6L V6 (code LFX). Direct Fuel Injection means that the fuel is injected directly into the engine combustion chambers at high pressure, which improves the fuel efficiency. Timing belt or chain: Both the 4-cylinder and V6 engines have chain-driven camshafts. There is no timing belt. Mechanical: The Equinox and Terrain ride on the same GM Theta platform. Both vehicles have MacPherson struts in the front suspension. The rear suspension uses the independent multi-link layout. Front and rear brakes have ventilated discs. Anti-lock Brake System (ABS) is standard. In the 2.4L models, the steering is electrically-assisted. The V6 models have the conventional hydraulic power rack-and-pinion steering. The only transmission choice is a 6-speed automatic. 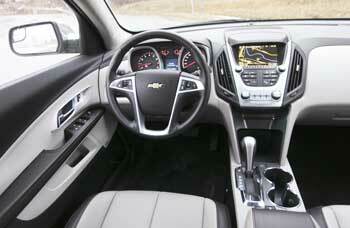 Interior: Inside, the Equinox and the GMC Terrain look pretty much identical, see the photos. The rear seat legroom is ample, compared to other compact SUVs. The list of available features includes USB port for the iPod, navigation with the rear view camera, OnStar, satellite radio, remote starter, programmable power liftgate and more. Safety: The 2011-2017 Chevrolet Equinox and GMC Terrain have received a four-star overall rating in government crash tests: 4 stars in frontal tests, 5 stars in side impact tests and 4 stars for rollover resistance. Cons: Large turning radius, reliability concerns, rear window doesn't open separately. 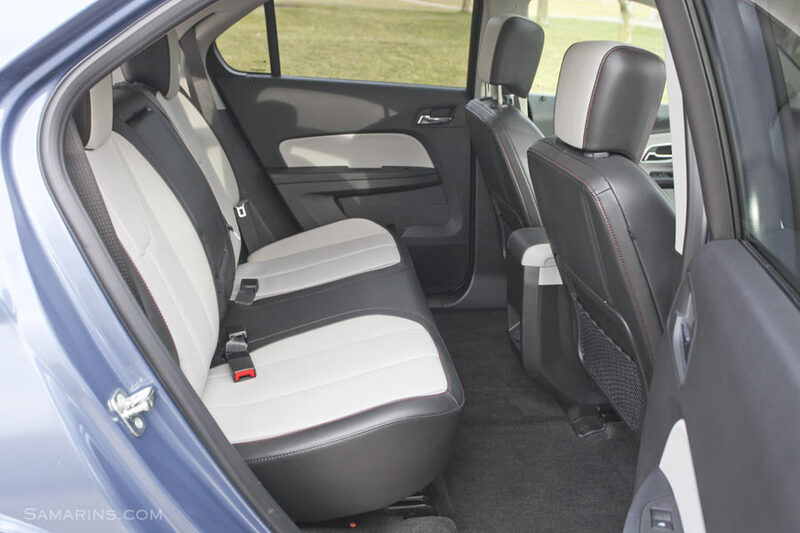 Overall: Despite the problems mentioned above, according to Consumer Reports, the 2013-2017 Chevy Equinox and GMC Terrain have better reliability ratings than other domestic compact SUVs. The majority of reported problems are related to the 2010-2012 Equinox. Later years are better. Using a better quality engine oil and doing more frequent oil changes may help avoid some of the engine problems. Among import competitors we recommend Honda CR-V, Toyota RAV4 and Mazda CX-5, as they are more reliable. 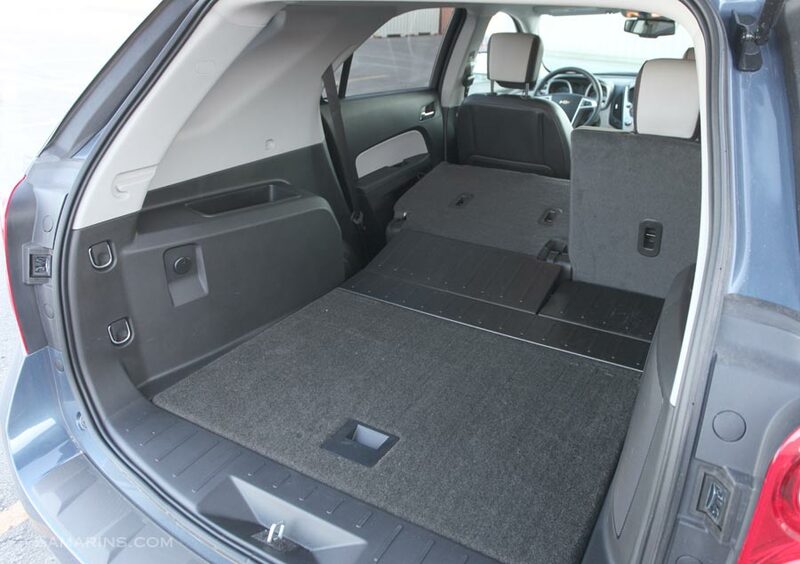 When buying a used Chevrolet Equinox / GMC Terrain, we suggest having the vehicle inspected by a qualified mechanic or even better, an independent GM dealership (not the one that sells the vehicle). Watch out for oil leaks from the engine or transmission. The low oil level may be an indication that the engine consumes oil. Avoid the vehicle if the engine sounds noisy, even if it's a short rattle when started cold. Rough idle, stalling and the Check Engine light are other indications of engine problems.